Join me September 11th, 12th, and 13th at Westworld in Scottsdale for this years protest against Arizona Shriners their use of animals in their annual circuses. These elephants and animals are some of the most horrifically abused and exploited animals in the animal entertainment business. The Shriners contract with vendors who are fail to meet MINIMAL standards for the care of it's animals. Shrine gets around this fact by pointing out the elephants and other animals don't belong to them and therefore they aren't responsible for how the animals are treated. This is absolutely ridiculous. Many Shrine organizations have done away with using animals at their circus realizing the inhumanity involved in the industry. These elephants are subjected to brutal beatings with baseball bats affixed with nails, rakes, and other objects. The vendors have been VIDEOTAPED and former circus employees have come forward to testify the elephants are BLOW TORCHED prior to their appearances because their course hair damages the performers uniforms and circus owners think it makes the elephants look "cuter". Please join me for this important event and use your voice for those unable to speak for themselves! 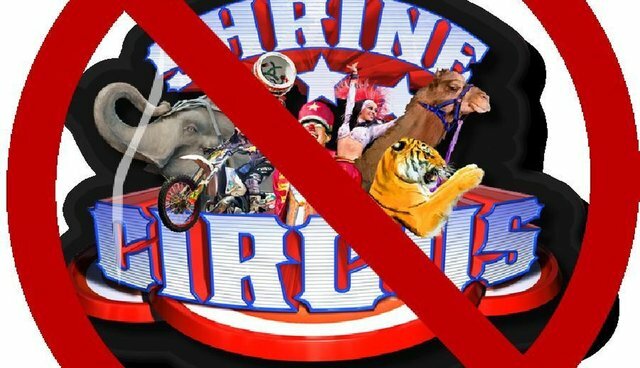 ** There are many RUMORS that the funds Shrine acquires from their circuses go towards funding the Shriner's hospitals for children. These lies are often propagated by the Shriners themselves and this is a bold face lie! 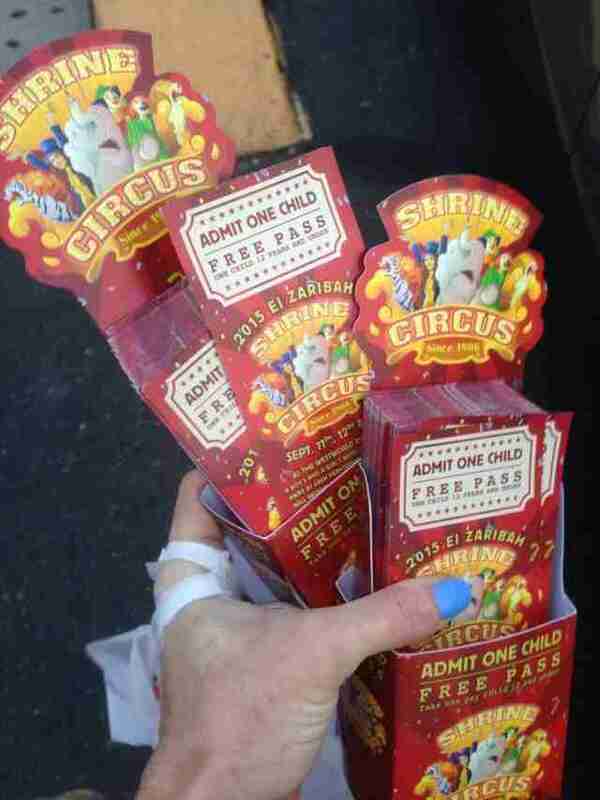 Written on every circus ticket (in very small letters) is a disclaimer that ALL circus proceeds go to the Shriners themselves and the purchase of the ticket is NOT tax deductible. What type of people would mislead you to believe your money is going to save sick and dying children, when in reality it's going to themselves? Monsters, that's who. 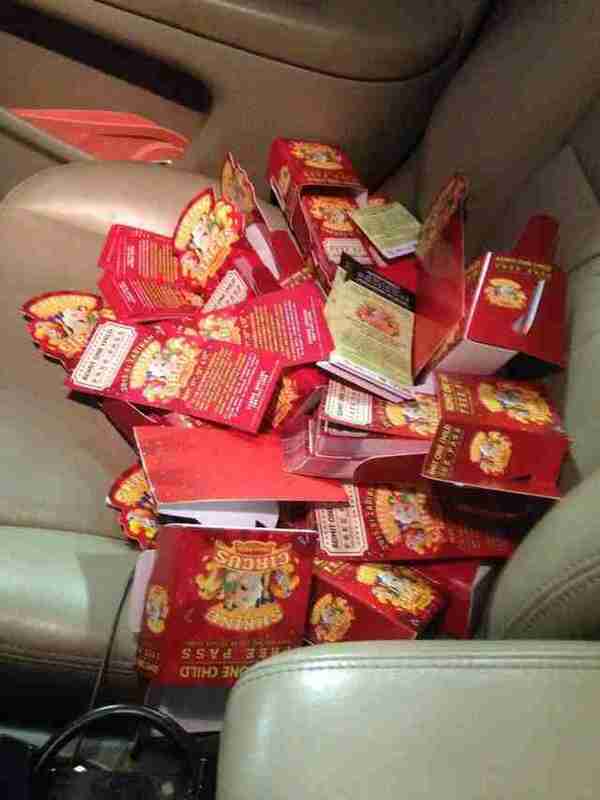 The challenge for this year's protest is to collect as many of the free tickets shown as possible. The FREE tickets admit one child with an adult at the AZ Shriner's Circus and are being provided at every Circle K, 7-11, Walgreens, Safeway, and Fry's Food Store in the valley. The person who collects the most tickets prior to the circus wins a prize. A prize will also go to the indivudual with the most creative story to tell about how they obtained their tickets. See you this Friday!! There are so many amazing people who participate in this protest. Come join us! See you there!